Today I have a review of the new Real Techniques Blend + Blur brushes for you! 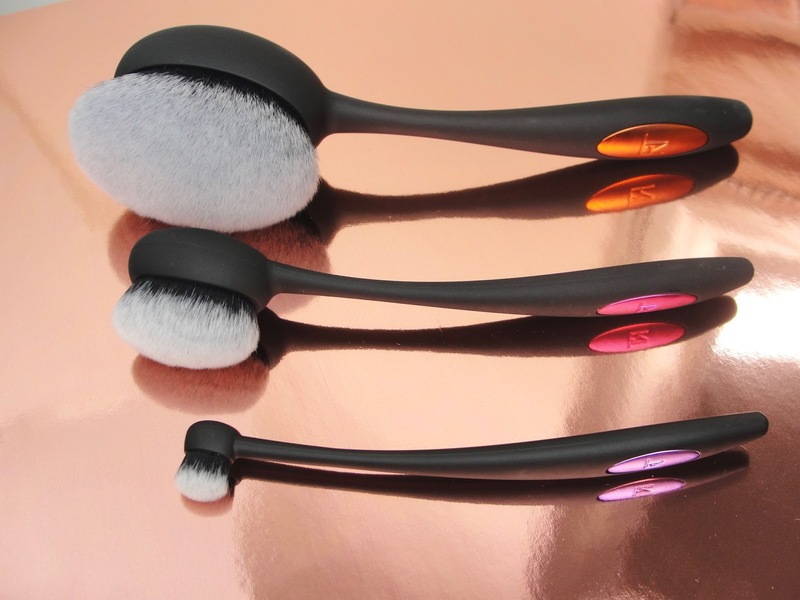 These immediately remind me on the (also new) Artis Makeup BrushCraft Collection (the more affordable line by Artis) with their matte/satin black handles and the curved design. And how do they perform? The REAL TECHNIQUES Blend + Blur All Over Brush ($19.99) is gigantic! And sooo soft! 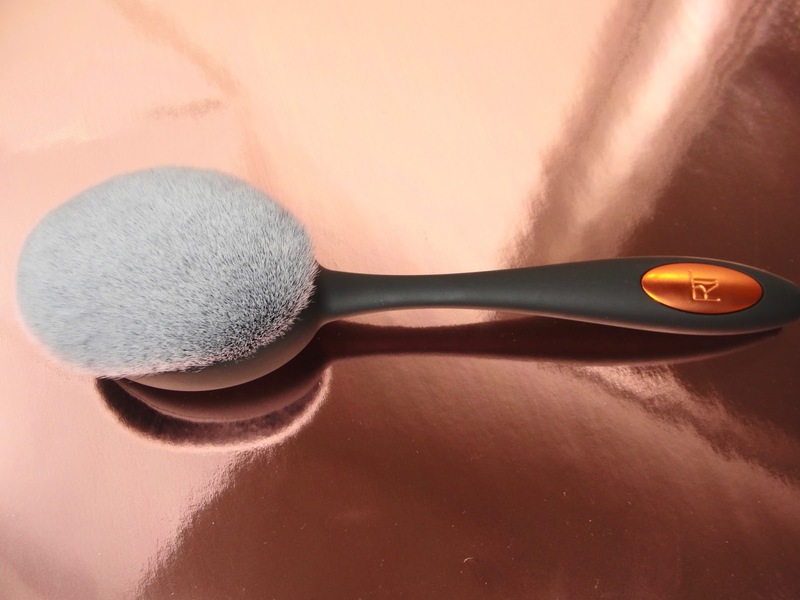 I love to use this brush with bronzer, because I apply bronzer usually very liberally, all over my face. 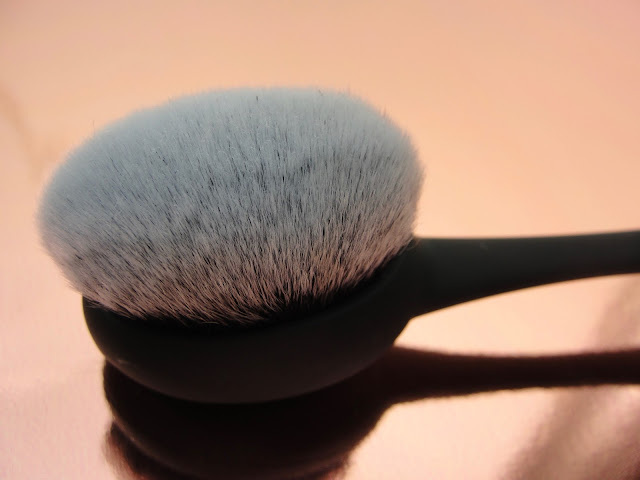 This brush could be also used for powder, blush or even foundation. 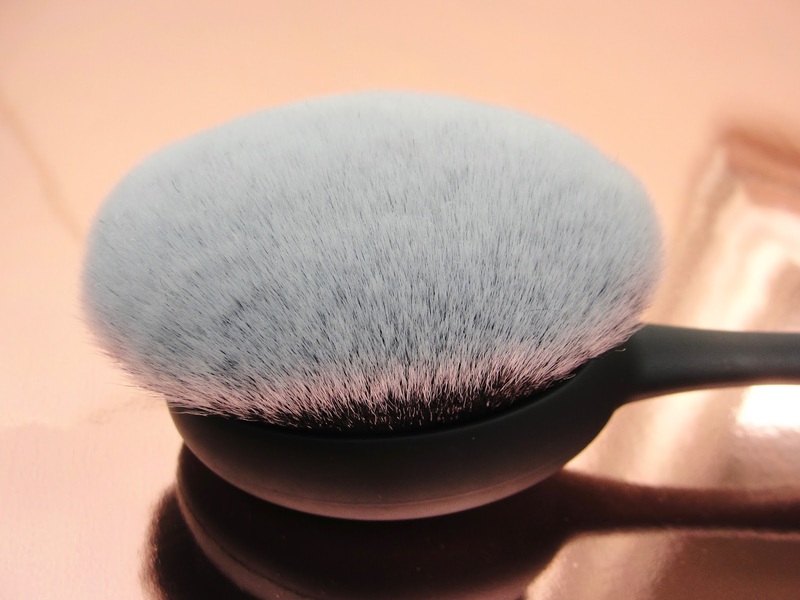 I find that you have to use a brush with this kind of shape a little different: you just "sweep" the product on- you don´t have to blend a lot. One swipe is enough. Fast. And did I mention how soft it is? I can only highly recommend this brush! The REAL TECHNIQUES Blend + Blur All Over Brush is HUUUUUGE! The REAL TECHNIQUES Blend + Blur Contour Brush ($16.99) is also amazingly soft! 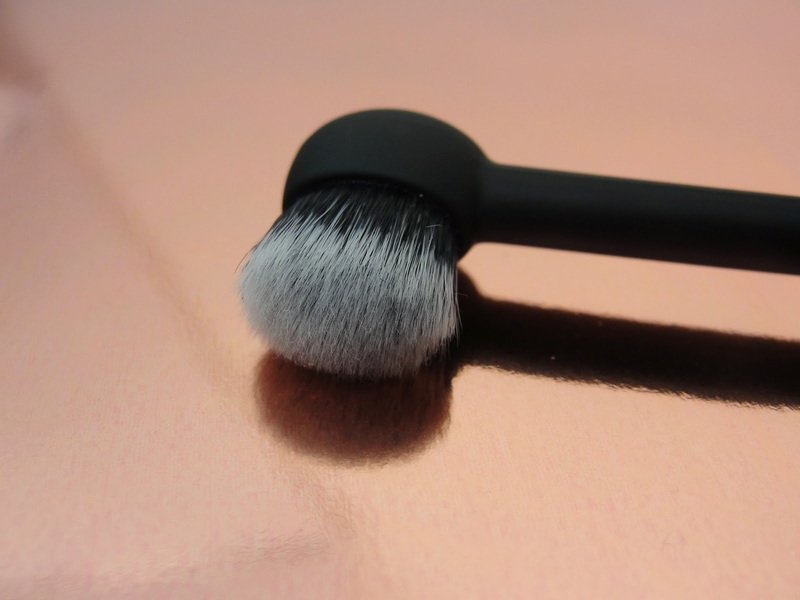 I use this to apply my foundation- don´t feel obligated to use it for contouring! 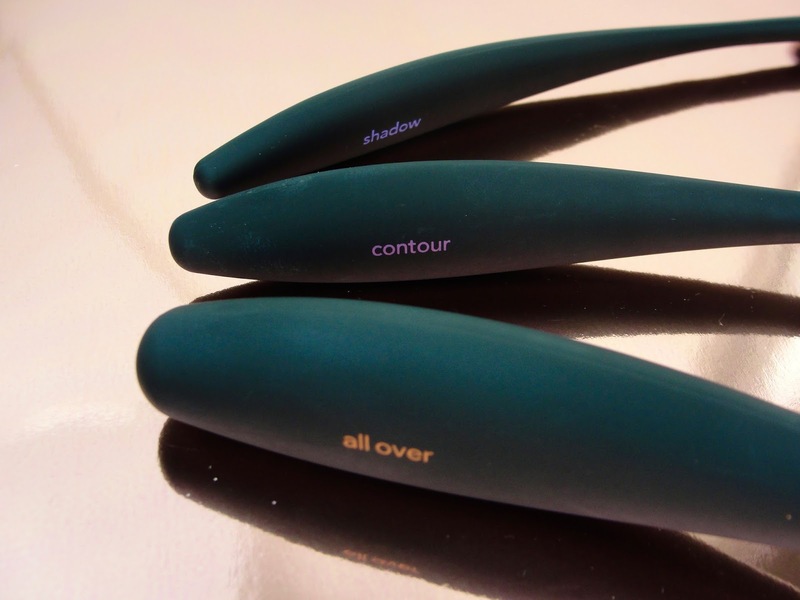 I don´t contour often and find this is the perfect size to use with foundation. You could easily use it also for applying blush or highlighter- feel free to convert the brush into whatever you want. And yes: I absolutely love this densely packed, but super soft makeup brush! The REAL TECHNIQUES Blend + Blur Contour Brush is super soft! 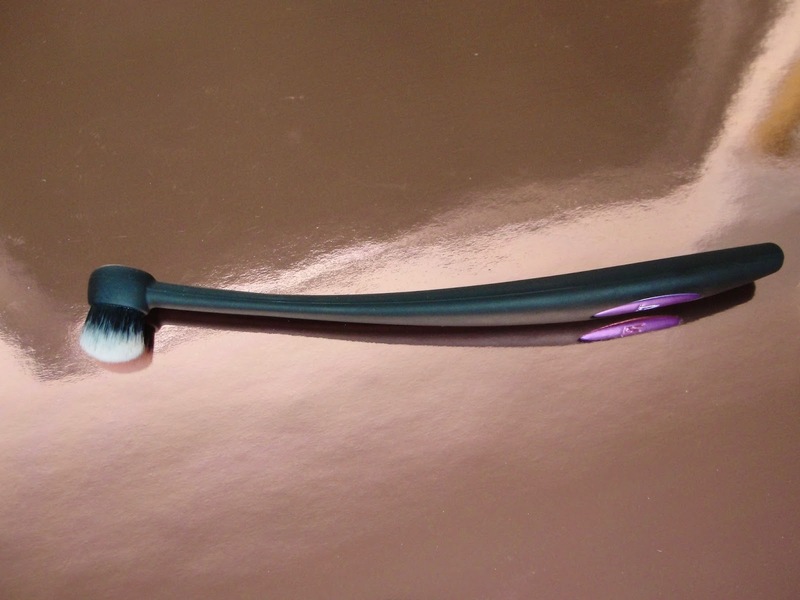 My favorite crease brush is (and probably will always be) the: IT BRUSHES FOR ULTA Airbrush Blending Crease Brush #105! 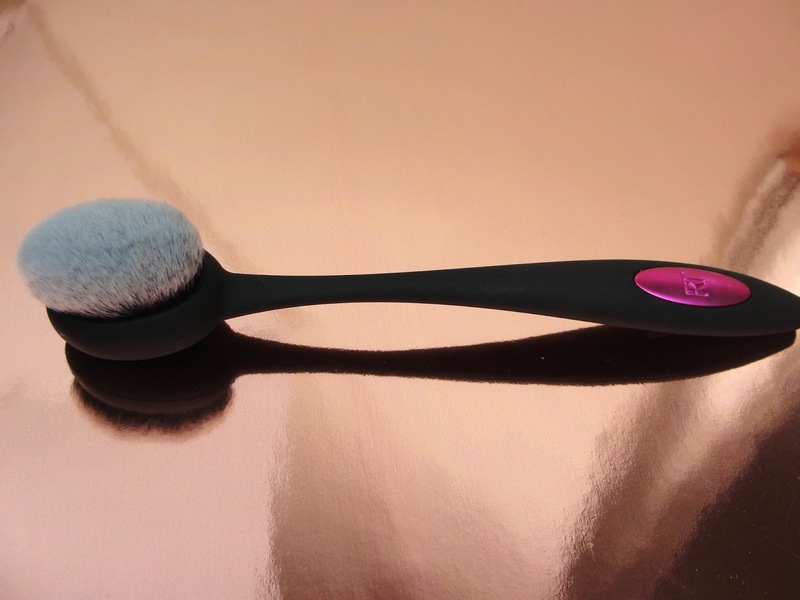 BEST CREASE BRUSH EVER!!! The REAL TECHNIQUES Blend + Blur Crease Brush just isn´t working for me! 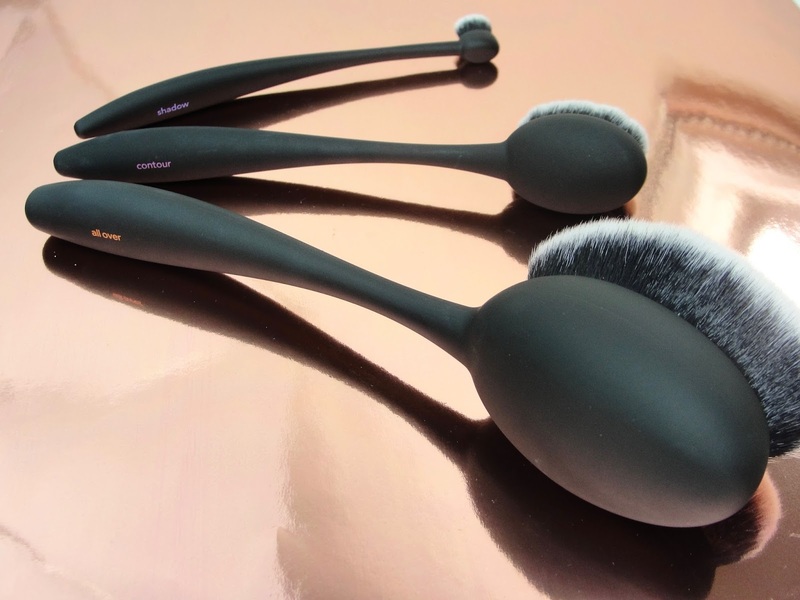 Give it up to REAL TECHNIQUES for creating amazing makeup brushes that are so super soft and save you time and product, but for a fraction of the costs of other high end makeup brushes! I absolutely love this new curved design!